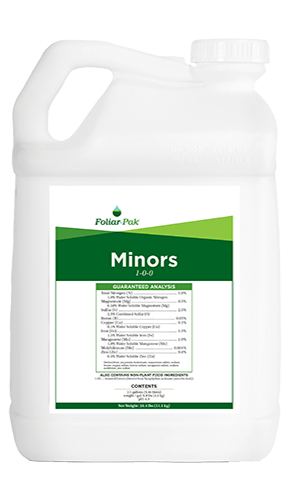 Foliar-Pak® Minors is specially formulated with plant metabolites that increase nutrient uptake. 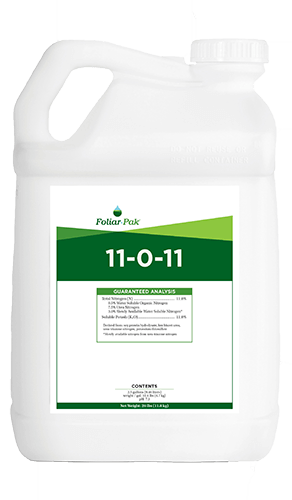 Foliar-Pak Minors is a unique formulation using natural and modified plant metabolites specific for protecting each element. Each plant metabolite performs well in its own niche. The low-molecular-weight plant metabolites allow for movement through the stomatal pores and trans-cuticular pores; the high-molecular weight modified plant metabolite chelates the micronutrients for secondary uptake via the soil. 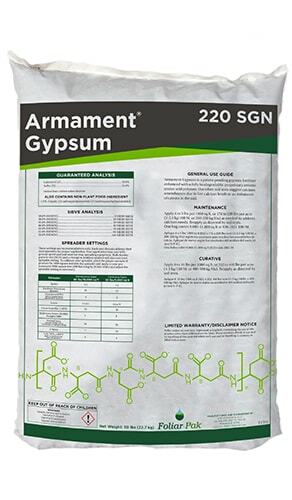 This engineered redundancy ensures rapid uptake for the turf in all growing conditions. 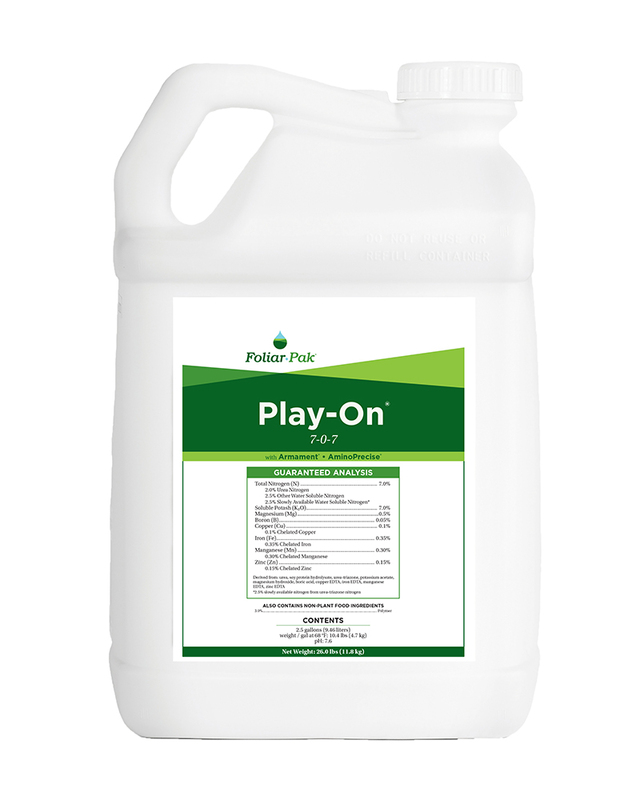 Foliar-Pak Minors can be effectively used to correct micronutrient deficiencies and is especially useful on turf grown in sand-based soil mediums. 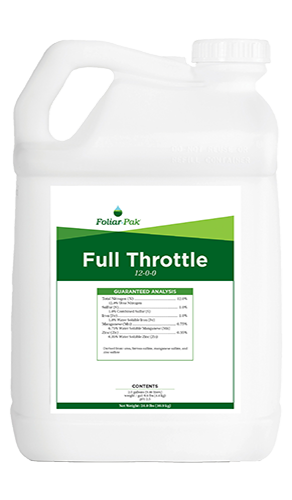 Foliar-Pak Minors provides nutrients that promote better photosynthesis. Focused amino acid package increases photosynthetic efficiency and prolongs life of chloroplasts.